Administered under the auspices of the ITTF Development Programme, Sarah Hanffou, the Founder and President of Ping Sans Frontières, an organisation whose goal is to help those in need enjoy the sport of table tennis, recently visited Haiti, the country that shares the Caribbean island of Espaniola with the Dominican Republic. Commencing on Thursday 6th July, she was present for a two week mission to continue the “Haiti Post Earthquake Project”; an initiative directed by the ITTF Goodwill Fund. Earlier in January she had been present to conduct an ITTF/PTT Level One Course which had attracted no less than 30 students. In January 2010, Haiti suffered a major earthquake which affected some three million people; the death toll estimated at over 100,000. The first task for Sarah Hanffou was to supervise five hours of coaching, in order for the students who had attended the course in January earlier in the year, to gain their certificates. Three cities were visited during the two week period. Port au Prince, the capital and the home of the Sport for Hope Centre was the first stop. Assisted by three ITTF Level One coaches, Sarah Hanffou supervised the efforts of eight student coaches. Immediately following, a training camp was staged in which 34 players took part; ten members of the group being players of an experienced level. Arranged in classes according to ability, donated by Ping Sans Frontières, brand new table tennis shoes were the prizes for the winners. Additionally, whilst in Port au Prince, Sarah Hanffou met members of the Haiti Table Tennis Federation whose focus is very must targeted towards to schools. The new school year about to start, an agenda was discussed in detail. Matters concluded in Port au Prince, the next stop was Limonade where on Saturday 15th and Sunday 16th July, practical sessions conducted by student coaches, were supervised. A training camp, which 12 women and girls attended, concluded the visit. Two successful endeavours, the third was a visit to the Tornado club in Les Cayes, situated in the Southern part of the Haïti. 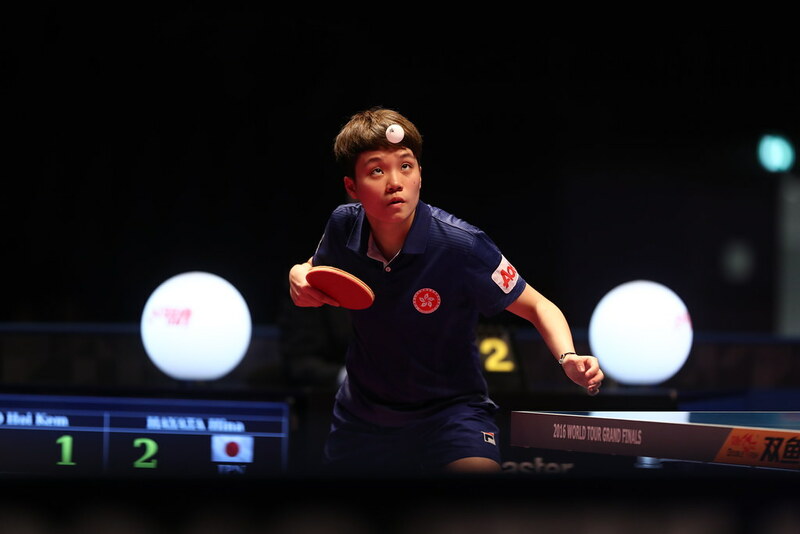 The club is based in a school hall where a training camp was organized for 20 players; notably two coaches completed the necessary supervised coaching to gain their ITTF/PTT Level One Diploma. Likewise, as in Port au Prince, it was an opportunity for Sarah Hanffou to evaluate the structure of table tennis in the area and especially prepare the schools programme scheduled to start later in the year in September. Two intense weeks concluded on Thursday 20th July but Sarah Hanffou, to her great credit, has extended her visit and will remain in Haiti until Saturday 29th July in order to assist with the “back to school” project in the southern part of the country. In conjunction with all concerned, a tournament which has attracted some 30 players, is being staged at the Tornado Club.